This set contains 2 eyes. 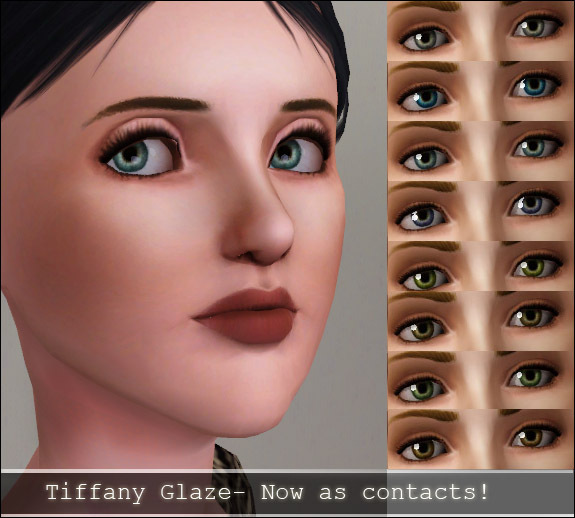 Tiffany Glaze, which has been on MTS for a while, now comes with as contacts. If you still want the defaults, they are still available. The newer eye is Oh My-Eyes-. These ones are my personal favorite, and they look even better as defaults. 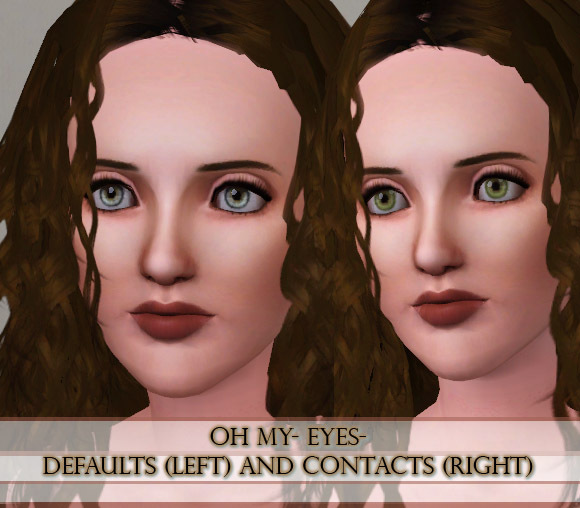 Both of these eyes are available as recolorable contacts. 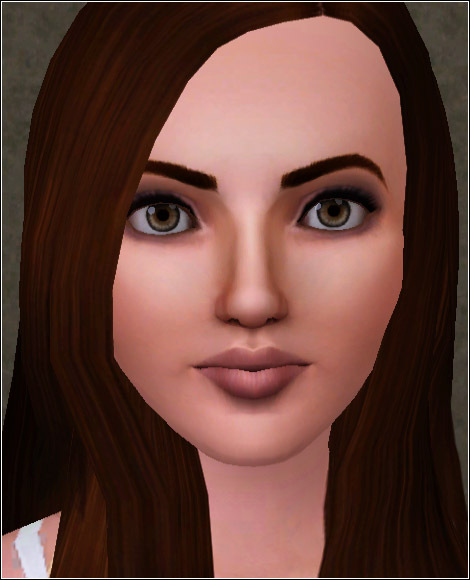 You can change the color of the sclera, inner and outer iris. The contacts "whites" have been shadowed. Both of them are smaller than your maxis defaults. 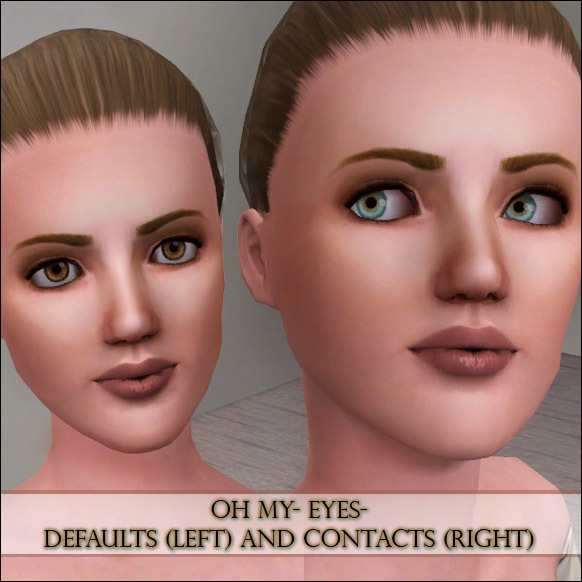 Save these eyes in your Mods/Packages folder, and then delete the simCompositorCache package from your sims 3 folder inside your documents. 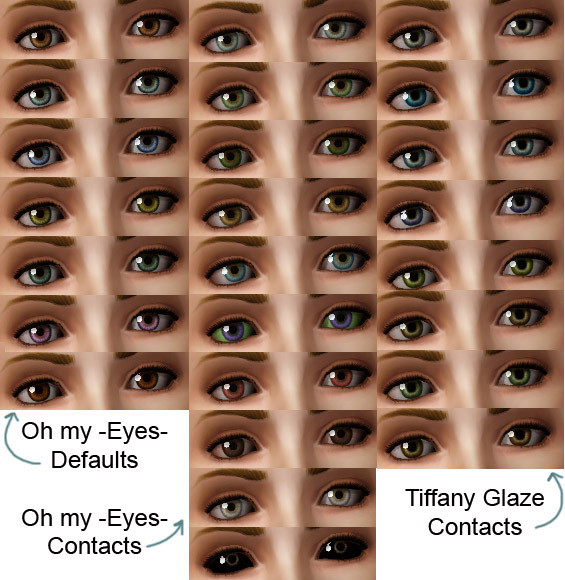 NOTE: Escand_TiffanyGlazeEyes.rar is a DEFAULT file. But wait! there's more! 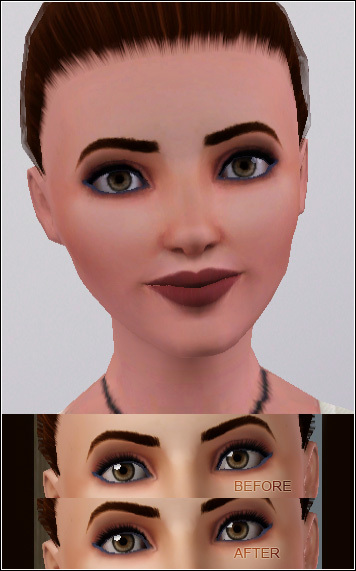 The file "ishadow" is not eye-shadow the makeup. It's a sclera mask that puts a shadow on the corners of the eye. 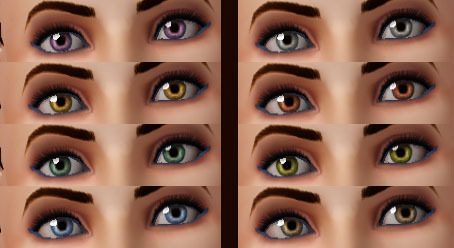 For me, it's my must have on my sims eye. This is a mask, which means you'll have to put it on your defaults.